No matter if you’re the type of person that believes you can lose weight without buying workout gear or if you love the idea of having weight loss tools in your house, there is one thing everyone needs: a reliable bathroom scale. The RENPHO Bluetooth Body Fat Scale takes measuring your weight loss progress to a whole other level by giving you the ability to track several parts of your journey with ease. When you start shopping around for different types of scales that have different features, it’s important to think about what you are looking for. For example, if you just need a regular body fat scale you’ll opt for one model over a more advanced Bluetooth or WiFi connected scale. There are plenty of things you’ll enjoy about the RENPHO Bluetooth Body Fat Scale ranging from its user-friendly design to its accuracy with weighing differences in your body mass. Users won’t have to worry about trying to figure out what the differences in measurements are from professional scales and the scale that they have at home. This makes it much simpler to keep an accurate timeline of the weight that you have lost or gained over a certain period. With the help of the integrated sensors, every inch of your body will be monitored and recorded with ease. One concern that you may have with any WiFi-connected scale that you choose is whether it will work with your specific weight loss apps that you have on your tablet or your smartphone. The RENPHO Bluetooth Body Fat Scale easily connects to any type of app that you might use to keep track of your weight, muscle mass, BMI, and more. All you have to do is step on the scale in the morning, and it will automatically update all of your apps for you. Considering the majority of people keep their scales in their bathroom, it’s important to choose a model that is designed to be protected against humidity and consistent use. This particular Bluetooth scale is designed using high-quality tempered glass and stainless steel, offering a sleek and seamless appeal that will fit into the décor of any room. Above all, it’s designed to withstand constant use from multiple family members over a long period of time. Aside from the fact that you can use the scale with relatively any type of application, it also makes it much easier to get all of your most important information in one place. You’ll no longer have to worry about stepping on a regular digital scale and manually inputting the information, plus your new Bluetooth scale will sync all of your information within seconds. This gives you the ability to access the information you need right away. Unlike other smart scales that you may find on the market, the RENPHO Bluetooth Body Fat Scale does not display all of the measurement information directly on the scale. Instead, you will be required to open your smartphone application to access information such as your muscle mass and bone density. Although you do not need to open the scale’s application on your smartphone for use, you will have to use it to access important information about your weight and weight loss progress. As a common disadvantage with many WiFi compatible devices, it’s important to take the time to update all of the software both inside of the scale and your smartphone to ensure you can regularly sync information from the scale to your phone. If any of the software is out of date, it’s going to become relatively impossible to keep track of your weight unless you want to take the time to input the data manually. The whole purpose of the RENPHO scale is to ensure that users have access to all of the most important information they may need. In comparison to other smart scales you can find on the market, this RENPHO model is designed to give you not only the most amounts of measurements but the most accurate ones as well. 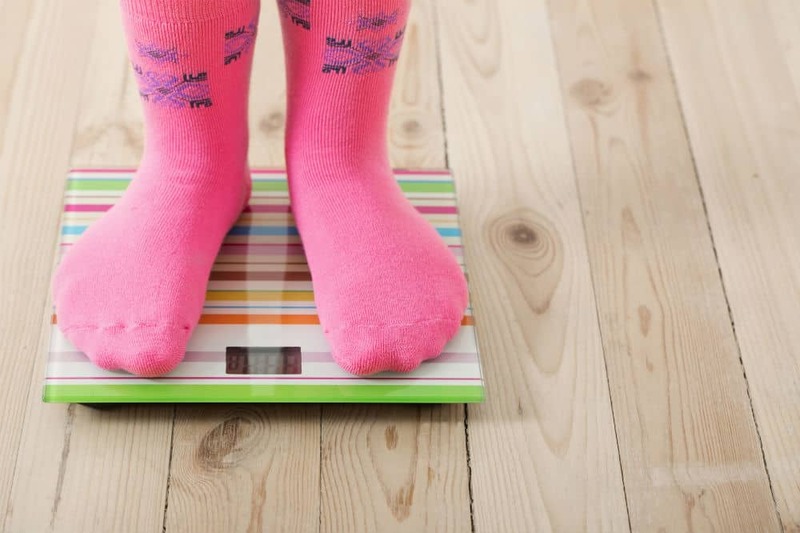 Every time you step on the scale all of the highly precise sensors will track your fat-free body weight, water percentage, BMI, body weight, muscle mass, body fat, bone mass, basal metabolism, protein, skeletal muscle, and the age of your body based on your measurements. As 11 measurements is a diverse collection of information, it’s easy to assume that all of the measurements will not be shown directly on the scale. You will need to open your smartphone or tablet app in order to monitor the progress in the majority of the measurements. Although you don’t need to hold your phone in order to boot up the scale or use the scale, it is important to have access to a smartphone in order to set the app up. You’ll need to take advantage of the free app in order to add different users, set up profiles for all of your family members, and to keep track of your measurements. As you begin to measure yourself regularly, the app will also create charts so you can get a visual representation of the goals you’re achieving and the dates that you reach all of your goals. If you’re the type of person that has a favorite weight loss app, there’s no need to worry about tracking your progress on the scale’s dedicated app. There’s nothing worse than buying a brand new scale only to find that the measurements are far different from the measurements you get from your doctor or a fitness center. The advanced integrated high precision sensors are designed to make it easier to get an accurate reading for any of the 11 measurements the scale works with. Not only does this help to add to the convenience of losing weight, but you’ll also have a better idea of how to adjust your eating habits and workouts to ensure that you reach all of the goals that you have set for yourself. The majority of WiFi connected scales allow you to add up to eight user profiles, but wit the RENPHO Bluetooth Body Fat Scale you can add as many family members as you desire. All you have to do is boot up the smartphone app and add a user profile for everyone that will be weighing themselves on a regular basis. As one of the most interesting features of this smart scale, once an individual steps on the tempered glass top the scale will immediately detect who the person is and store their weight information in their dedicated profile. There’s no need to worry about results being recorded in the wrong person’s profile, and you have complete anonymity when it comes to keeping track of your personal weight loss goals. To help make weighing yourself even simpler, the automatic syncing feature gets rid of the need to manually input all of the information that is displayed on your scale. Considering there are 11 different measurements that you would be responsible for, you’ll surely be thankful that your new scale will automatically record all of the information you could ever need. As well as automatically uploading the data, syncing the information is far faster than you would assume. In fact, it’s essentially instant, and you can open your app within seconds of measuring yourself to see your progress for that day. Even though a body scale is typically used for functional purposes, it doesn’t mean that you should be responsible for dealing with an unsightly scale in your bathroom. With this unit’s sleek and modern design, it will fit into the aesthetic of absolutely any bathroom or bedroom with ease. In addition, the tempered glass and stainless steel construction help to make the scale more sturdy, resilient, and reliable for constant use over the years. You’ll never have to worry about slipping or scratching, and it will always look as if it’s brand new. As with any other item that you would buy, it’s important to compare one model to the rest. Otherwise, you’ll never know if you will be buying the right smart scale for your needs. One of the most important things to know about the RENPHO Bluetooth Body Fat Scale is that it offers a comprehensive list of features that you typically wouldn’t be able to find in other models. The majority of other scales may offer up to eight different measurements, but the RENPHO model has 11 different measurements. This helps to ensure that you have an in-depth understanding of the progress of your body and any changes that occur while you’re trying to bulk up or slim down. From measuring your skeletal mass to your BMI, every single aspect of your body will be taken into consideration. In fact, the measurements acquired from the RENPHO Bluetooth Body Fat Scale are far more advanced than measurements you’d acquire from a fitness center or a doctor’s office. Aside from the number of features, it’s also important to have access to accurate measurements. At the end of the day, you could have 20 different figures outlining the size and shape of your body, but if the figures aren’t accurate, they’re essentially useless. 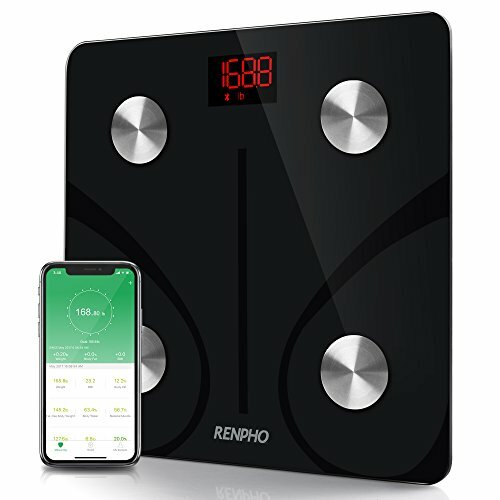 The RENPHO Bluetooth Body Fat Scale offers impeccable accuracy, but it’s also something that the majority of other WiFi connected scales have to offer. There’s nothing worse than trying to figure out the differences in measurements from one scale to another, and so you’ll certainly want to find a model that is accurate. The majority of people are not only looking for a functional scale but one that also looks great in your bathroom. This is especially true if you’re the type of person that prefers to leave your scale out in the open instead of storing it under your sink or beside your toilet. This particular smart scale is phenomenal for its aesthetic design as the sleek black tempered glass easily fits into the design of any room in your home. It’s simplistic, modern, and appealing. Even with regular use, you won’t have to worry about the RENPHO Bluetooth Body Fat Scale incurring damage. It is constructed using high-quality materials such as stainless steel and tempered glass to protect the delicate electrical components from changes in temperature and humidity. In addition, the glass on the top of the unit is designed to prevent visible scratches. Considering this model is designed to support an endless amount of users, you can guarantee it is built to last for an extended period of time. There are a few smart scales that are equally as durable, but they make experience difficulties with acquiring accurate measurements over the years. What is the Best Smart WiFi Scale to Choose? When compared to other scales on the market, the RENPHO Bluetooth Body Fat Scale is by far your best bet. Not only will you be able to take advantage of more features, but its striking appeal and ease of use are two other huge benefits it holds over competing designs. If you’re in the market for a reliable tool that will become your number one partner during your weight loss venture, this is surely the model that you should have in your home. Otherwise, you may be dealing with inaccurate measurements that will never help you to reach your overall weight loss goal. How do I know what kind of numbers I shld have for optimal health? Ex: ,I have 12 percent protein, 30.7 percent skeletal muscle, and 102.8 muscle mass. I weigh 208 and am a 56 yr old female. That is probably best answered between you and your doctor, but in general you want to increase your lean muscle mass through strength training and decrease your body fat through a healthy diet and exercise several times per week. Additionally, the BMI method is a good starting point to measure optimal health, but it can be a bit misleading if one has a lot of muscle mass so always take that with a grain of salt. Good luck in your fitness journey!